Kids love ice cream! My kids are no different, they would eat ice cream all day if I let them. This is actually something my kids don’t get very often because I’m not a fan of giving my kids processed sugar. 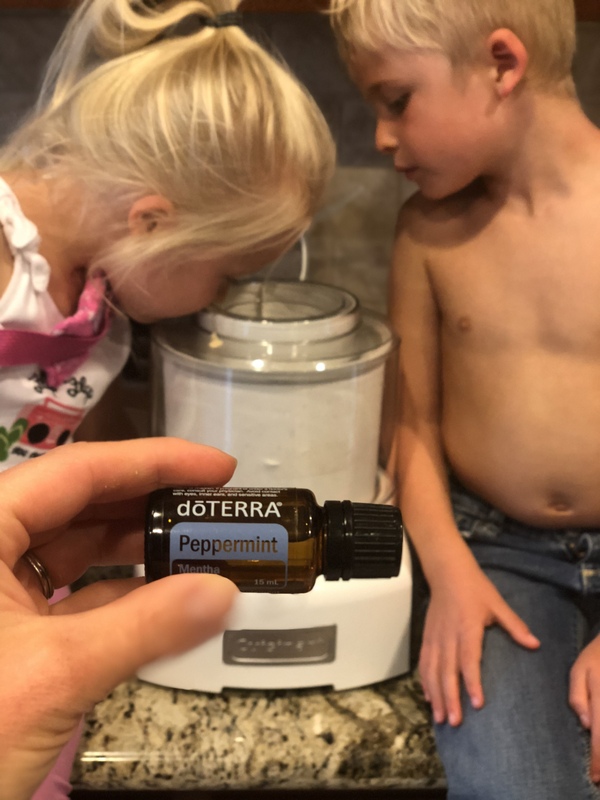 I decided to make our own vegan ice cream the other night using coconut milk, nut butter and of course doTERRA’s peppermint essential oil because it’s food grade and they requested mint chocolate ice cream. Not only did they love watching the ice cream churn but they said it was the best ice cream they ever had! #momwin . Mix everything together and pour into your ice cream maker. I added a little bit of tiny chocolate chips at the end. If you freeze it, you will have to let it thaw for about 15 min on the counter before you can scoop it.